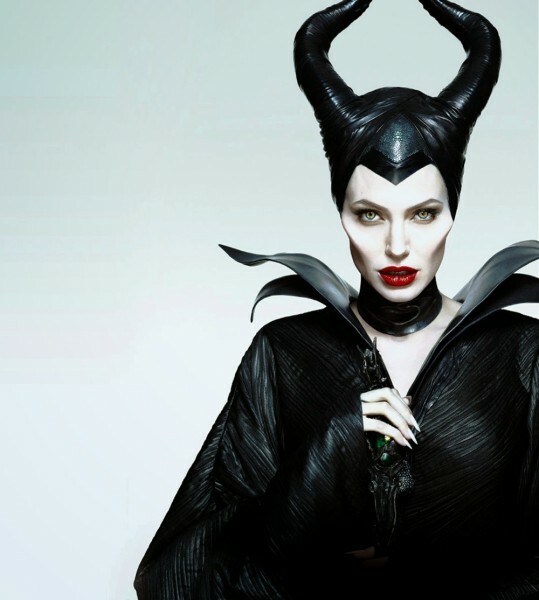 Neutral tone, matte skin, and the pop of a red lip defined Maleficent’s look in the Disney 2014 feature. While the original Sleeping Beauty character donned a green skin hue and bold purple eyeshadow, Angelina Jolie’s look got a reboot with an ethereal glow and earthy eye tones, with just a punctuation of drama. While the MAC products are exact representations of the products used on set, the extremely realistic tones are achievable with other brands that can substitute the pricier selections. If you’d like to substitute a few of the products with your own less pricey alternatives, the MAC shades are described in parenthesis for an easier time matching. Use the contouring powder to not only define your cheekbones, but to add depth at the temples, and to deepen the cleft a tiny bit and add definition to the lips. When contouring, blend up with either your sponge for cream formula or brush for powder. In this case, we can use MAC Maleficent Sculpting Powder in Sculpt (an easily blendable taupe shade).Set everything with MAC Beauty Powder in Natural (a pearlescent peachy pink hue). Work the shadows into the eye in layers. Since all the shadows are matte and earthy, working in layers allows to blend without making the colors muddy. Start with the lightest MAC Maleficent hue as the eyeshadow base, MAC Goldmine (shimmery gold hue), dusting over complete eyelid and blending up past the crease and into inner corners of eyes. Pull the goldmine shade up in the middle of the eyelid, to the browbone underneath the arch in a swipe of color and blend into the skin around for a pop of golden hue underneath the brow arch. Layer on your first dramatic swipe of Penultimate Eye Liner in Rapidblack (a true black shade), tightly contouring the lash-line and extending into a thin cat-eye past the outer corners. Work MAC Concrete (a taupe brown shade) onto the inner corners of the eyelid, near the lash-line, and extend along the eyeliner’s upper rim, blending into the eyelid in a gradient from lash-line to crease. Work the shade into the outer corners of the eye, extending out into a cat-eye before bringing the shade into the bottom of the waterline. Blend it all along the bottom lash-line to define the eye. Finally, layer MAC Ground Brown from the middle of the eye’s lash-line, extending through the subtle cat-eye layer of MAC Concrete. Blend the shade into the outer crease of the eye, emphasizing the slight cat-eye before bringing it along the crease into the inner corner of the browbone. Blend well. Re-line the eye with the eye pencil in black, this time slightly bringing the liner into the lower lash-line’s outer corner. Set and soften the harsh line from the eyeliner by buffing MAC Carbon (matte black) into the liner. Emphasize the arch of the brow with MAC Eye Brows in Fling (a taupe ash blonde). Don’t round at the arch, instead focus on creating a sharp, thin angle. The eyelashes are long and curled, but not overly thick and heavy. Swipe on a layer of your favorite true black mascara on your lashes before attaching MAC 36 false lash for the drama. Squeeze out your lash adhesive and let it sit for a bit before dipping your false lashes into them. Waiting allows for the glue to get tackier and adhere quicker to your lash-line. Prime the lips with with MAC Prep + Prime Lip before lining right on the contour of lips and then filling in with MAC Pro Longwear Lip Pencil in Kiss Me Quick (a warm-undertone red). Brush on MAC Lipstick in True Love’s Kiss (true red, no orange shade) before topping with Pro Longwear Lipglass in Anthurium (true red, no orange shade) on the center of lips (don’t go completely to edge). Brush on a smidgen of taupe contouring powder directly underneath the lower lip to plump up the lips a bit. You have the basic contouring in place already, but to make the cheeks really pop you can enlist the help of some tape. Tear off a long piece of regular scotch tape, the length of which can extend from upper ear down along cheekbone toward the mouth corner. You should have it angled along your natural cheekbone (right below the cheekbone), along the line you’d normally contour your cheeks. 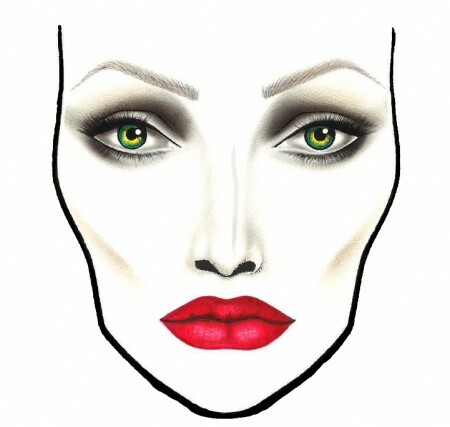 Position the tape on both sides of your face evenly, emulating the angle of where you’d like the cheekbones to stand out. Apply a white shadow or the palest shade of foundation/concealer over the line, blending up. Set with translucent powder and peel off the tape. The harsh white line pops your cheekbones out, but it’s time to make it even more dramatic with your contouring powder and a matte gray shadow. Blend your sculpting powder into the line right underneath the white, keeping the sharp contrast and divide. Dip a thin brush into a grey/purple-beige shadow and draw a line along the divide between the darker contour and the highlight. 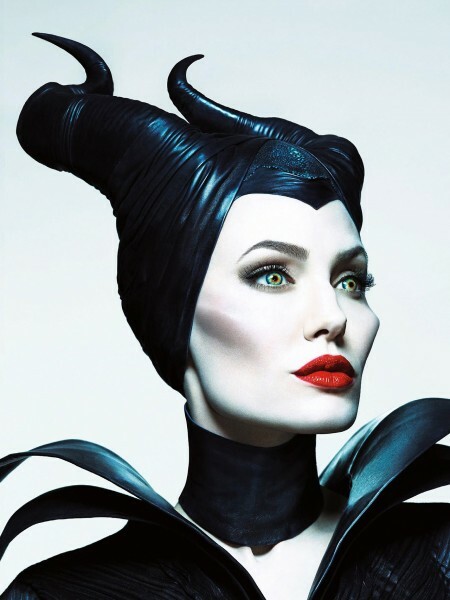 Blend the line down the contoured shadow of the cheekbone without disrupting the white highlight to emulate the pronounced cheekbones from Maleficent. You can achieve the sculpted cheekbones with molding clay if you’d like to go really full on with the look. For the movie, makeup artist Toni G used Kiehl’s Blue Astringent to remove the skin oils when prepping for the prosthetic. To find out how to sculpt your pair of prosthetic cheekbones, check out this tutorial at Tiny Touchups. And finally, at the end of the night you’ll need to remove all of it. 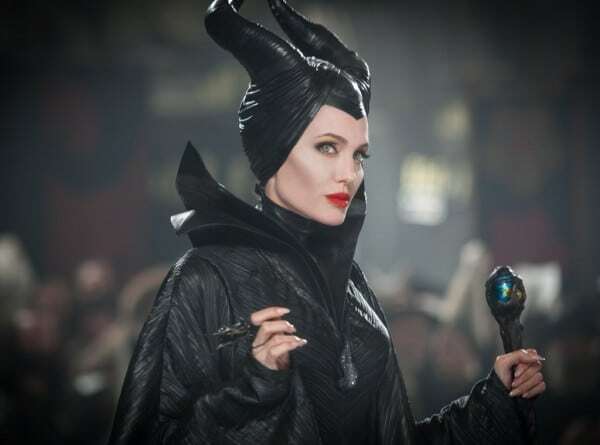 Go for the same mix the makeup team used on Maleficent set: coconut and argan oil to gently get rid of all the residue.